HELL YAH! The cyber ninjas, baraka and KYO KUSANAGI! My poor wallet! Kyo looks awesome, wonder if the Iori name plate is a tease or just an accident. I wasn't expecting Kenshiro to be 1/6th though. that alternative bison is better than the original look. Last edited by Tomax; 10-05-2018 at 12:21 PM..
KENSHIRO! But it's not his default Mad Max look. Bummer. Kenshiro's face sculpt is spot on, although he's dressed in his Fist of the North Star 2 anime clothes when he fights Falco. The biggest evidence is the right black glove. I hope this means that he'll include the jacket & goggles that makes him look like Sylvester Stallone Cobra. Robot ninjas look great, so does Baraka. Bring them on! But "Sector"? Looks like auto-correct got that one. They said they HAVE scorpion and subzero but just didn't bring any..
oh...didn't like that new Ken or Ryu though. I picked up Rain, Smoke, Goro, and Chun Li. Last edited by DarkToyLord; 10-04-2018 at 06:55 PM.. I'm wondering if Kenshiro is actually 1/6 or if this is more of a paint/sculpt master that will be scaled down when the figure is approved by the license holder. He's definitely missing articulation at this point. Has storm made any other 1/6 stuff or would this be their first? They actually have done a few 1/6 scale figures. They did 2 Hulk Hogan's and a few Mike Tyson's. Ok cool, I hadn't seen any of those yet, thanks Joe. Personally I'm hoping they will release a 1/12 version, but guess we'll just have to wait and see. I believe the Kenshiro is a 2-up prototype. They've previously said these would be their 1/12 scale. Tell me more about Sub-zero and Scorpion. I know Scorpion was revealed the X version but what other Sub Zero is there besides the one on display? How do you "just not bring" those two?! I am in trouble with this line too. I have committed. They are fantastic. I have two more ninjas arriving today. I still have to order Shao too. Goro is on pre order. I am trying to pace myself. 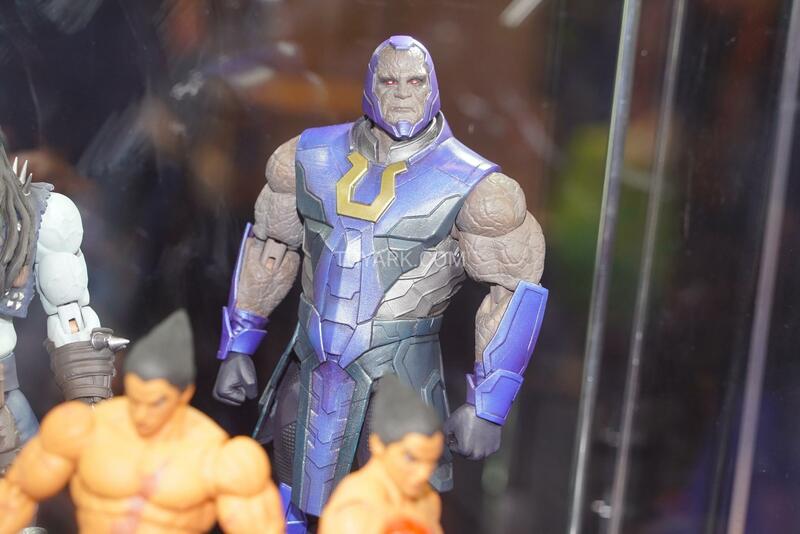 That Darkseid is amazing. If you had no other figures he is going to look spectacular on display alone. I bet he will cost $150 though. 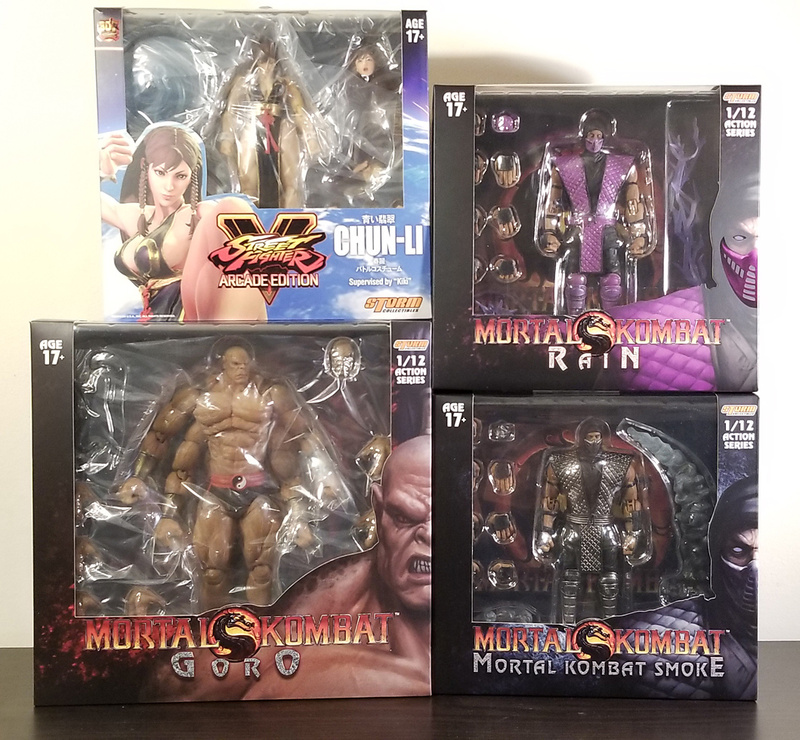 Last edited by Bearjew; 10-05-2018 at 09:40 AM..
Dawg i DID grab you one, then the people in line start bitching like .."hay..that really cool brutha at the front of the line is buying TWO Goro figs"... i looked at them with that..."you better shut yo dammn mouth" look, but it was too late. The 'security' at the Storm booth made me put the other one back. i didn't open Goro yet... looking forward to it, he looked big as hell in the displays. and no i mean the original ninjas, sub-zero and scorpion to sell..he told me they did have them, just didn't bring them. and yeah i hate what figures are costing us these days, but holy shitballs...this line (all the fighters) is just DOPE A.F. i'm glad they don't come out TOO frequently. i just got my Mike Tyson in the mail today. no i mean the original ninjas, sub-zero and scorpion to sell..he told me they did have them, just didn't bring them. I knew I could count on you! Too bad those bunch of whiners got in the way. I will just have to be content with being patient until mine reaches me. I wonder if that means they will rerelease those two ninjas? I guess time will tell. I am holding out for the next version of Scorpion and I guess a future release of Sub Zero. I dont really care for the one they have on display. Never did in the game either. This line is surely worth the money but I dont know that I will ever get used to the prices. I am afraid they will keep climbing too. Looks like you came back with a nice haul. Congrats. The purple cyborg isn't rain that's Smoke. Triborg is made up of Smoke, Sektor, and Cyrax, then lastly Cyber Sub-Zero. If it's rain then that'd be dumb.